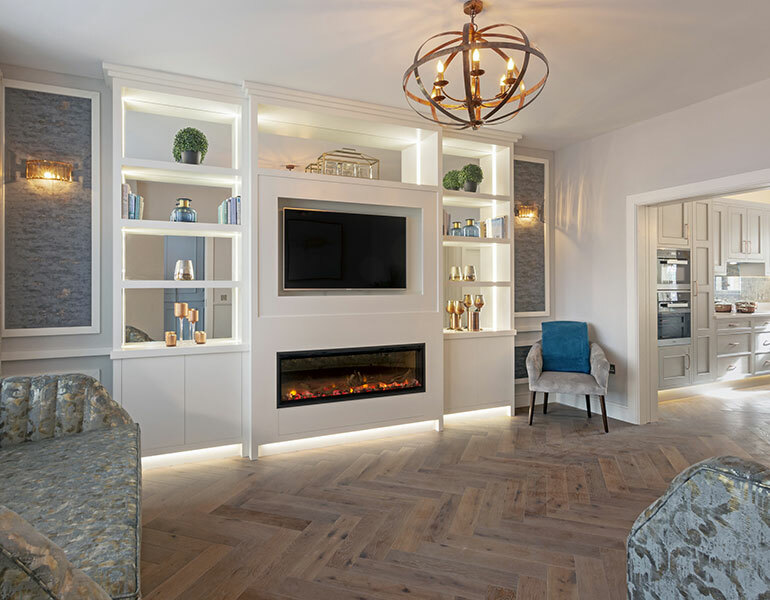 Love the flickering light, crackling sounds and cosy, relaxing warmth of a fire, but would rather avoid complex, expensive installation, maintanence, mess and annual servicing? That is why people appreciate the benefits of a Dimplex electric fire, which gives you all the joy of a fire - even in the absence of real flames. Incredibly easy to install in a matter of minutes; just plug a Dimplex electric fire into a 13 amp socket and switch on! 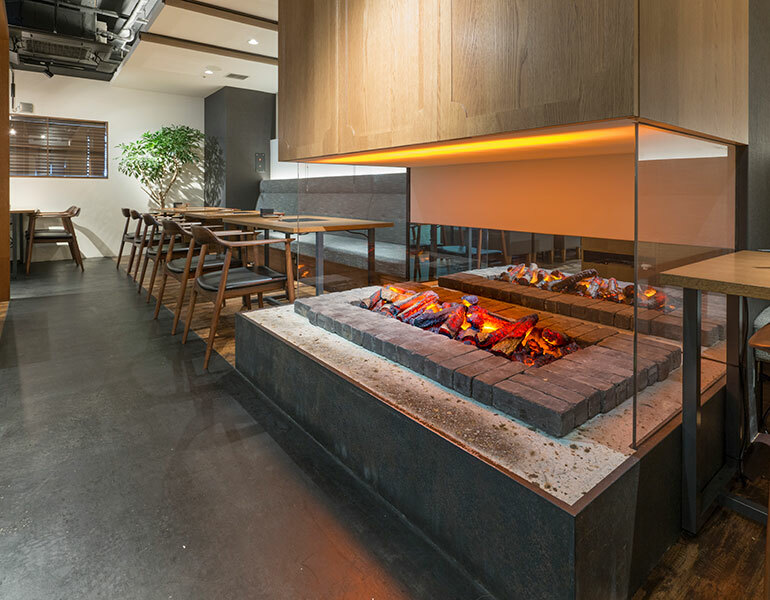 Because Dimplex electric fires do not require a chimney, flue, pipe-work, or even a fireplace, you can choose where to place it wherever you like in your home. Add a choice of suites and ready-to-fit surrounds and Dimplex has a fire to suit your decor and create a centerpiece in any room. Heat and flames are instantly available at the flick of a switch, but many Dimplex electric fires also offer a handy remote control, so you can adjust both heating and ‘flame’ effects from the comfort of your sofa. And when you set a room to a comfortable temperature, fires with Dimplex’s room-sensing thermostat technology will constantly measure the ambient temperature and adjust the heating to eliminate inefficient and uncomfortable ‘room temperature swing’. All Dimplex Optiflame and Opti-myst fires are 100% efficient at point of use, so no heat it wasted helping to reduce your carbon emissions. 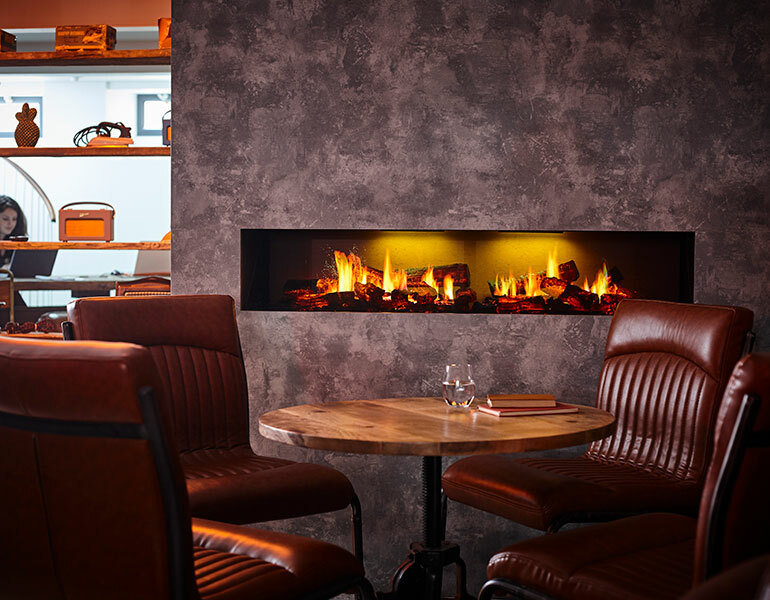 And because they work independently of the heating, you can enjoy the relaxing effect of the “flames” all year round, adding ambiance without overheating the room on mild evenings or when the central heating is on. With LED bulbs throughout the Optiflame range of fires, the cost of running a fire in ‘flames’ only setting can be as little as €2 per year. The predicted life of these LED bulbs is 100,000 hours or almost 55 years of use*. *Average 2008 rates p/kWh, assuming 5 hours/7 days per week usage. Only Dimplex brings you the internationally recognised BEAB approval on all electric fires*, giving you the extra guarantee of safety. Because Dimplex electric fires do not burn fuel internally to generate heat there are none of the associated safety risks, such as carbon monoxide poisoning. And you do not have to worry about regular servicing either - saving time and money. *All Dimplex electric fires are approved by BEAB or awaiting BEAB approval.